The sooner we embrace it, the better: we all age, and we might as well make sure our home is able to accommodate to our needs as we grow older. Whether you want to adapt your home for you future needs, or for those of an elderly parent or a family member with a disability, you can remodel your home to satisfy that need. As we age, we may realize it is increasingly difficult to climb into the bathtub, to open a doorknob or breathe comfortably. You may want to consider a new bathroom construction to adapt to your changing needs. Sometimes people who are going in for surgery want to remodel a bathroom for convenience when they return home. Aging in place basically means allowing you to stay in your home for as long as you can as you age. There is nothing wrong with it, we all age, there is no stopping time, but we can help to ensure that we can do it easily and where we want to be. 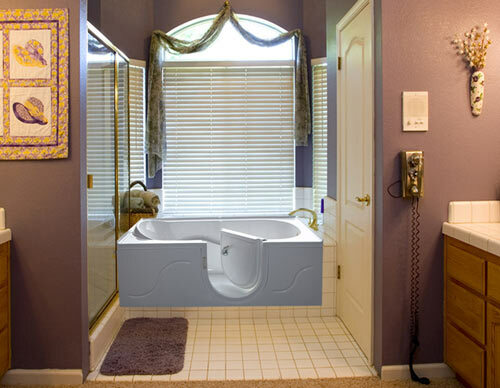 Stop worrying about not being able to easily turn your knobbed faucet on or stepping into the bathtub, since we can make that problem go away. Most people do not realize how much can be done in the home to accommodate their needs. You no longer have to try to adjust to what you already have, but the other way around. You can make it a more enjoyable life by making some minor adjustments.